If you've ever purchased a physical good on the internet, you know that shipping is a big deal. And all online shop owners know that providing competitive shipping is a key part of their success. It is indeed one of Amazon's greatest strengths and they are famous for offering free shipping to their Amazon Prime members. Free shipping you say? Well, not quite exactly. First of all, Prime membership costs $99 per year. And second, even though not officially documented by Amazon, Prime doesn't apply to their cheapest products. On average, Prime products start at around $10. Jeff Bezos is famous for operating businesses with near-zero margins. Yet Amazon most likely doesn't lose money on Prime: $99 can pay for at least 20 shipments, and the margin they make on $10+ products can compensate for a lot more. Long story short: Amazon Prime may seem over-agressive but it is in fact an incredibly smart move that is completely understandable from a business perspective. I recently needed to purchase some electronic gear, so as usual I turned to Amazon. Unfortunately, the price there was unacepptably high ($30+ for something which shouldn't be more than a few bucks), so after a quick Google search I ended up on AliExpress, AliBaba's consumer version. I found what I was looking for at a much fairer price (around $3), and was extremely surprised to find that they offered free international shipping on such a cheap item. Something smelled fishy, but it was so cheap that I took a chance. I received my package around 10 days later, in perfect condition. That's when I started wondering how this was at all possible. Of course they probably have large volumes, but even assuming the product cost them nothing I thought that $3 for fast international shipping was rather impressive, so I decided to dig things further. It turns out that AliExpress offers free international shipping to France for pretty much every single item they sell. Yes, that includes incredibly cheap items that cost less than a dollar. That was so intriguing that it deserved an experiment. …the package was delivered in my mailbox by my local postman (La Poste). From China. For 3 cents. Oh, and it even had some tracking! shipping a similar sized package locally with La Poste would cost €2.16, nearly eighty times more. shipping without a tracking number can lower the price to €1.12. Still 40x more than 3 cents. AliExpress is losing money on such sales. But why bother, then? There's a bug in AliExpress. Unlikely, because I've now purchased over 10 sub-$3 products there from different vendors, and all of them had free air mail shipping from China . 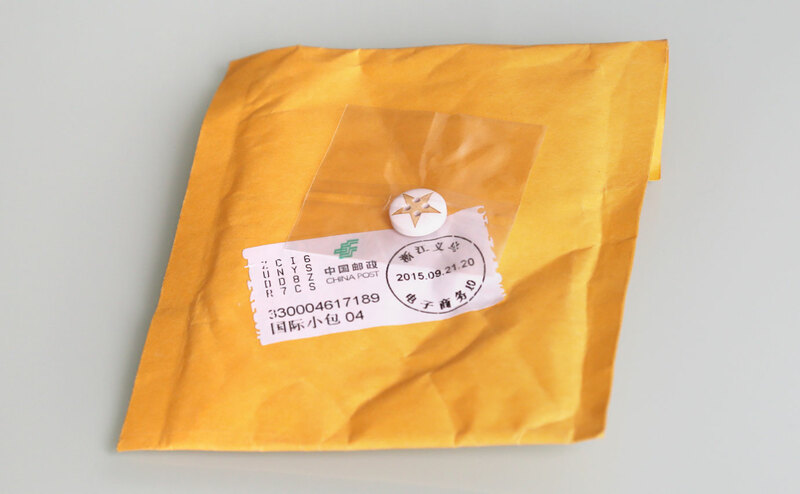 AliExpress vendors hacked their way around China Air Post and the Universal Postal Union. While the US were busy building iron man, China discovered teleportation. Anyway, if you have any idea about how AliExpress is pulling this trick, please reach out, I'd be very happy to be enlightened!